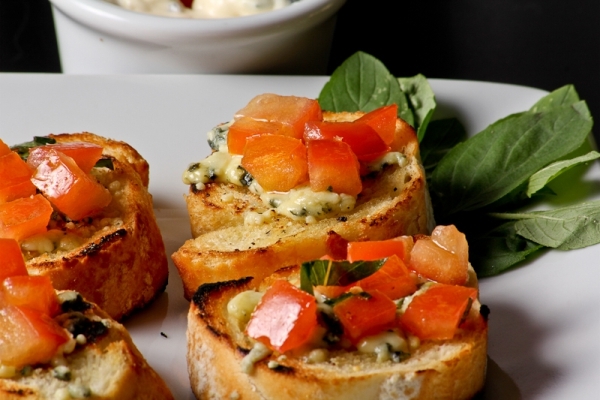 Baguette of Italian bread, gorgonzola cheese, tomatoes and basil. 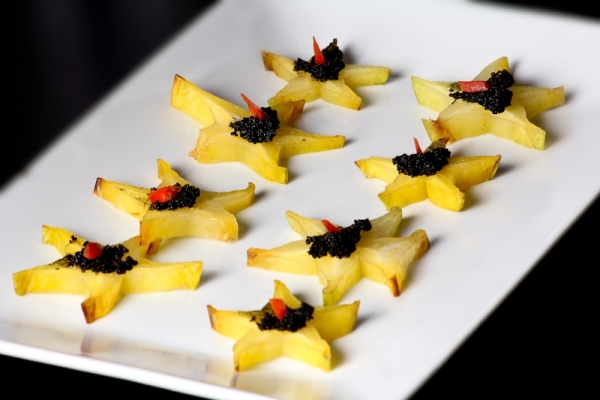 Carambole stars gently finished with black caviar. 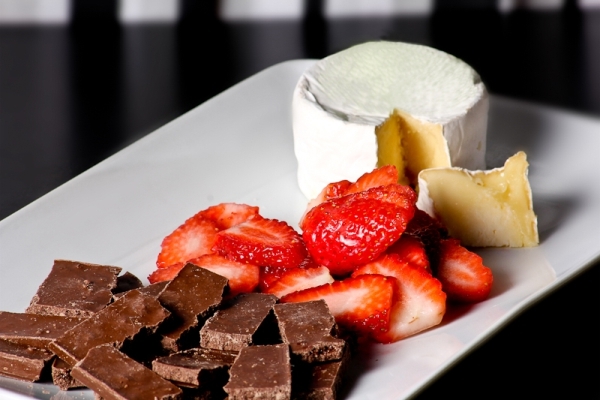 Strawberries, chocolate and brie cheese. 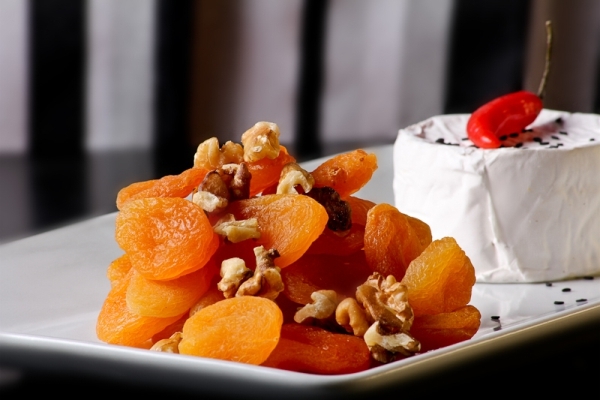 Slightly warmed brie cheese, apricots and nuts.